ASAP offers all the products you need to make your business secure. Give us a call and let us set up the perfect system for you. We offer a wide selection and competitive pricing on full color and monochrome card printer ribbons. We are an authorized reseller of printer ribbons and ID printer supplies for Fargo, Evolis, Magicard, Matica, Zebra and EntrustDatacard. We offer a wide selection and competitive pricing on retransfer film and overlaminates for your ID printers. We are an authorized reseller of printer ribbons and ID printer supplies for Fargo, Evolis, Magicard, Matica, Zebra and EntrustDatacard. ASAP offers a great selection of photo ID cameras to help you make great looking photo ID cards. Our offerings include a wide range of options, but if you don’t see a camera you like, let us know and we can get it for you. TransCam WDM Badging Solution is designed to integrate into most ID card design software (excludes Datacard ID Works). TransCam WDM provides automatic face detection, face crop, image resizing and enhancement. Camera includes standard tripod mount. You’ve learned to operate your ID printer and you’ve made some good looking badges. The issue is now how to wear that badge and keep it looking sharp. ASAP has a huge inventory of accessories you can choose from to help. 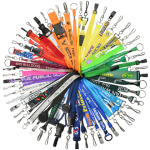 We carry lanyards, badge reels, badge holders, badge clips, wristbands, slot punches and a whole lot more. Basically, if you need a badge accessory, we’ve got it. 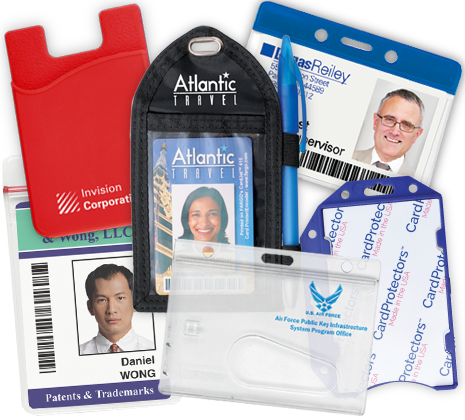 LANYARDS – Lanyards are card accessories that can be used in many different situations, making them a popular attachment with broad appeal. Lanyards are a versatile accessory that can be worn around the neck, on a belt loop or even tucked into a pocket. 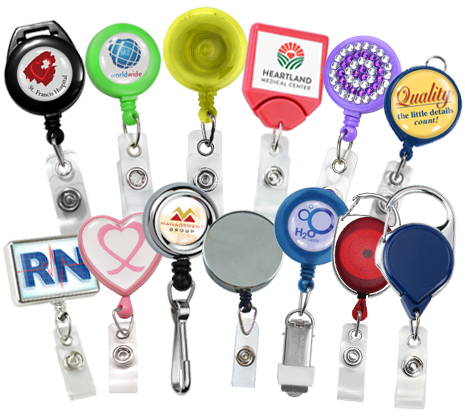 BADGE REELS – Badge reels are an easy, convenient way to carry and display an ID badge or card. Badge reels are of particular convenience to those who are required to scan or swipe their card regularly, as the included retractable cord keeps attached credentials easily accessible. Reels can be ordered as STANDARD or CUSTOMIZED with company logos. 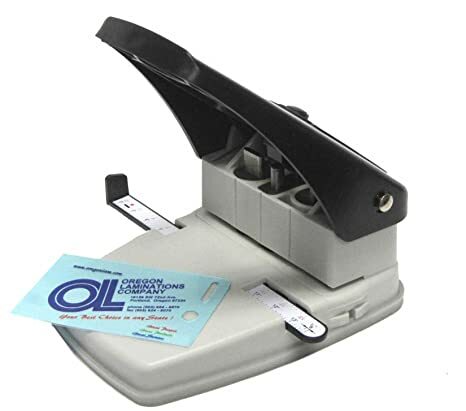 SLOT PUNCHES – Slot punches add convenience and security to wearing an ID by providing a slot for a lanyard, badge reel, or badge holder. These tools are available in hand held, desktop and electronic versions and many include adjustable guides. BADGE HOLDERS – Badge holders are a key part of any identification program. Once an ID badge or card has been printed, it often gets placed in a protective badge holder to display and protect the card. 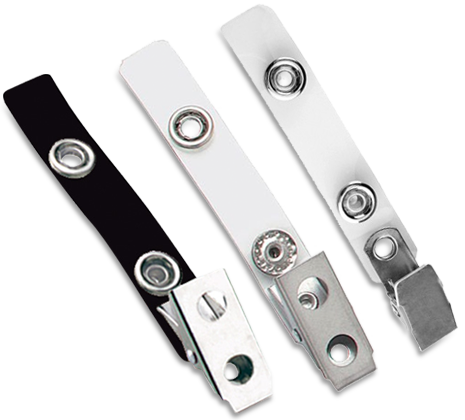 Badge holders will protect ID credentials from water damage, bending, cracking and more. STRAP & CLIPS – Some customers are seeking a simple, “get the job done” accessory to secure ID badges and cards to the wearers. Strap & Clips are simple, affordable and available in different lengths and colors.